Able to facilitate extremely rapid product temperature change rate performance in a space-saving, self-contained design, Hongzhan's Automated Thermal Stress Systems (ATSS) are versatile chambers designed to accelerate Thermal Stress testing. Hongzhan's ATSS chambers meet the latest MIL-STD 883E & 202F thermal shock specs as well as JEDEC and IPC test methods. ATSS chambers are capable of rapid thermal shocking, accelerated product stressing, and controlled thermal cycling. The patented retractable transfer mechanism makes full use of the available working volume in both the cold and hot zones and allows for increased product loading and throughput. Designed to withstand rigorous temperature chambers, the ATSS transfer carrier reduces the overall height requirements of the chamber and is made as light as possible to minimize thermal loading restraints. Safety features such as interlocks have been built-in to detect transfer basket jams and prevent the doors from being opening during transfer. High volume airflow is delivered to each zone via powerful circulator motors and blower wheels. This air distribution system allows for improved product temperature change rates and better uniformity. Bi-directional cooling and heating of both the hot and cold zones allows air temperature overshoots or offsets to be closely controlled in an effort to maximize product temperature change rates or recovery. 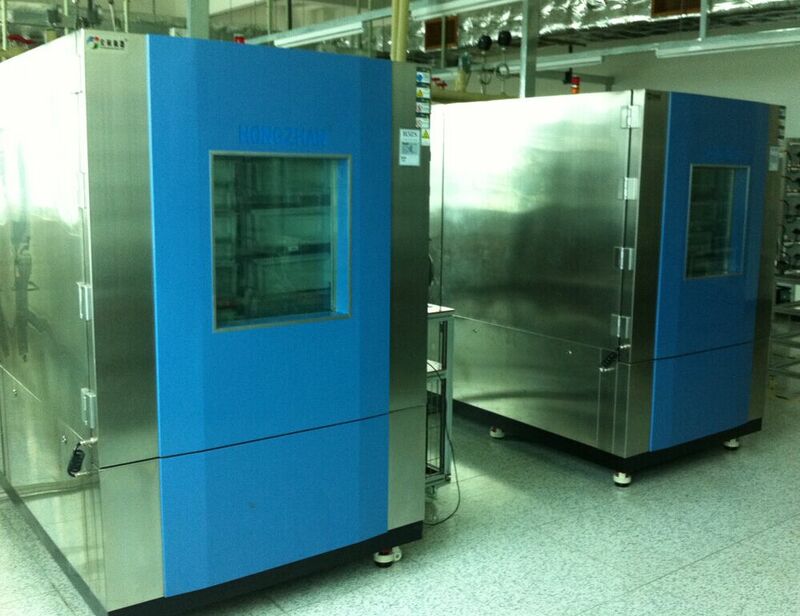 Hongzhan ATSS chambers can be used as part of most commercial reliability and quality control programs. A variety of industries use Thermal Shock units to determine if their products will safely operate after sudden and dramatic temperature changes. They have also been used to forecast the life expectancy of a product by revealing its aging properties. 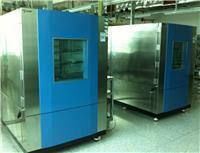 Finally, Thermal shock chambers have been used to perform environmental stress screening applications.